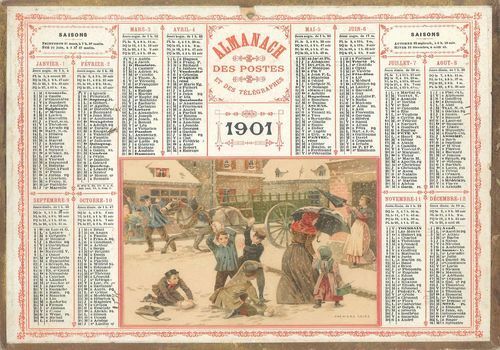 This pack of vintage calendars in.zip format gathers a series of calendars from the year 1901. The year 1901 has the particularity of being identical to that of 2019 if we compare the number of days and the organization of weeks. This means that you can reuse the typical calendars of the time to add a vintage style to your living room, wallpaper, kitchen etc. These are authentic almanacs of the time digitized in JPG format. You can therefore display them on any device and even print them. Agenda in the form of a monthly table with notes for each day. Simple and minimalist. Download the official 2016 - 2017 Champions League calendar in PDF format.